I believe there have been three major trends in the past three years that has changed the way we do things. I will be sharing my insights over the next three weeks. I’d love to hear your input and experiences. We now live in a world where we constantly rely on technology to get us through each day. If you are not a mobile phone user (do they still exist), you still rely on technology when you go to a restaurant, the post office, the bank. We have all likely been to a restaurant that uses technology – a form of a pager to notify you when your table is ready. Some restaurants take orders on a handheld device that automatically transmits the order to the bar or kitchen. You can even place a take-out or delivery order from home without picking up the phone. You can make calls without picking up the receiver or handset. You can write checks, pay bills or transfer money via a mobile phone or notebook computer without getting in the car or spending money on a stamp. While the security of doing any of these still has some vulnerabilities for the most part they are secure. Some folks still fear banking online, even if you avoid it, the banks stores your information online. Security online is one part of the equation, backing up the data is the second. When I work with clients, sometimes they ask to go paperless and store everything on their computer. I ask about their back-up plan. Nine times out of 10 they have none or they can’t remember the last time they backed up, if ever. When I ask why not, they either don’t know how or it’s too difficult or too hard to remember. There are many options for traditional back-up. 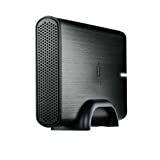 Many folks purchase an external hard drive. I have one. While they are a great option, there are some downfalls. 1. Your computer must be connected to the external hard drive for your back-up to be completed. 2. You must create a schedule to back-up. 3. They can get lost or stop working making it difficult or impossible to retrieve the data. (this happened to me, the drive stopped working and I did not know until I went to look for something on the back-up drive). I still use an external hard drive to back up but I also use one of the the web-based options as well. The two big ones are Carbonite and Mozy. Both offer a free month. Following you free month, their fees vary based on the size of the files being backed-up. An additional option is Dropbox. Dropbox is an online back-up and collaboration tool. I prefer Dropbox over Carbonite or Mozy. I like that you can access it from any online device (mobile phone, pda, iPad, iTouch, notebook or desktop computer). There is an app for the iPhone/iPad/iTouch and Android phones. From any of the devices you can access anything in your Dropbox as long as you have internet access. The Dropbox folder does reside on your computer. As you create or edit documents, spreadsheets, presentations, audio, video or pictures Dropbox saves a copy on to your computer and updates your Dropbox account. It also allows you to share files and collaborate with other users. You can configure your computer to save all files to your Dropbox folder. The free account includes up to 2GB file storage. You can grow your storage for free by referring friends, family and colleagues to Dropbox. They reward both the referrer and referee with an additional 250MB of storage. You can continue to refer until you reach 32 accepted referrals or 8GB of addtional storage space. You may not think that is very much space but you’d be surprised. Take a look at the drive where you store your documents. I am a heavy user. My Documents folder currently uses 4.38GB of space. It includes documents, spreadsheets, presentations and pictures. Why do I love Dropbox? Because it is mindless. I don’t have to do anything. I work on a document or download pics from my camera as long as I am connected to the web … voila after a few seconds, it is saved on my notebook and it is updated on Dropbox. I don’t have to schedule anything. If thinks for me. I love that it is intuitive and costs me nothing (at this time). If my storage needs grow faster than my free Dropbox grows, the cost of purchasing Dropbox storage space is very reasonable (All three online back-up systems mentioned do offer a discount if you pre-pay for a year vs. month to month fees). I love that my documents folder looks identical regardless if I am looking at it on my computer, notebook, smart phone or a computer of a friend or at a hotel when I am traveling. I don’t know how it could get any easier. I only recommend it because I use it and find it is the best product available that meets my needs. Feel free to check out Dropbox and get a free 250 KB of storage space. I’d love to hear your feedback. How do you protect and back-up your information? Are you reliant on technology? Share with us how technology shapes your life and has changed the way you operate on a day to day basis. Stay tuned for #2 and #3!